Like the windmill, the wooden shoe is symbolic of the Netherlands (link) but they have seemed pretty awkward to me. I’ve tried on wooden shoes and didn’t like the stiffness and was jarred by the hard shoe when it hit the pavement. So I relegated wooden shoes to “quaint, old fashioned European customs” and concluded they were the cheap shoes of 200 years ago or a dated tradition like local costume (link). 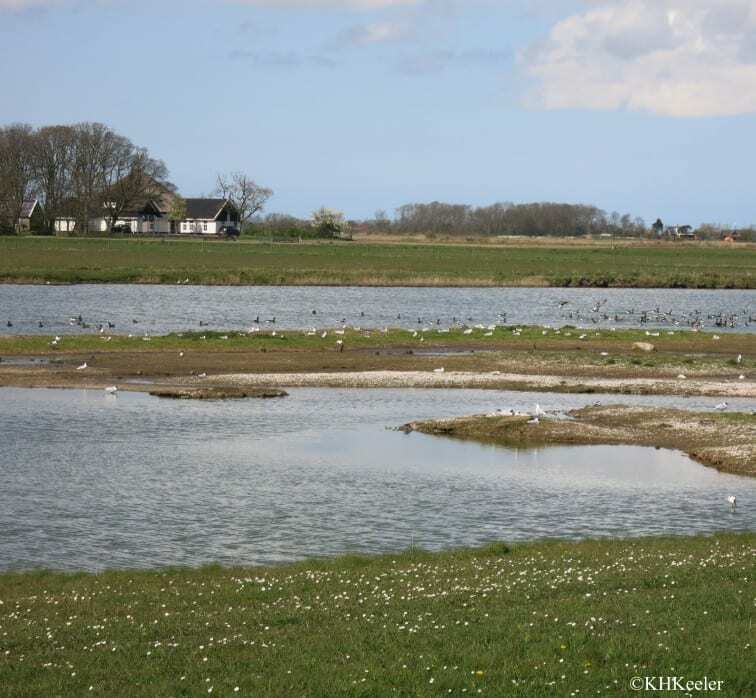 This last week I visited the western Netherlands (Frisia and Holland) for the first time. Almost all the land has been reclaimed from the sea (link red-purple area of left map). One consequence of being below sea level, often several meters, is that water seeps in, soaking everything. 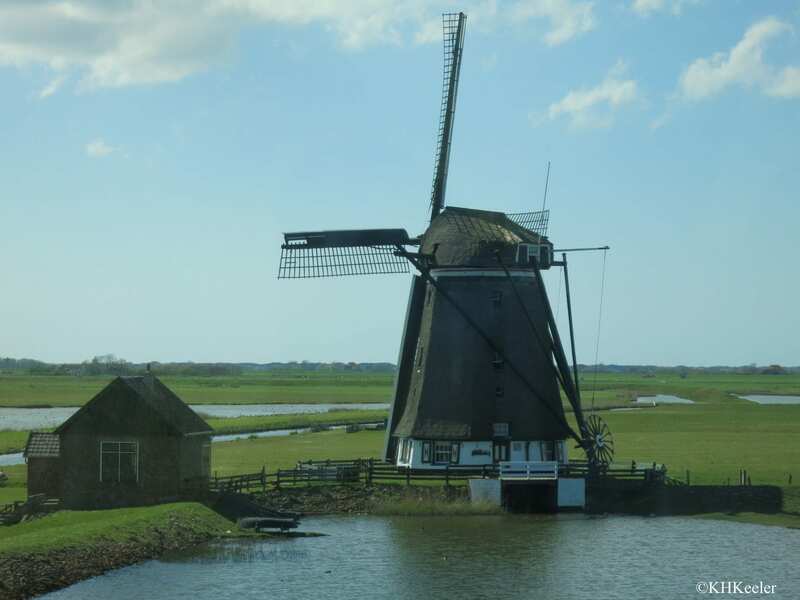 The Dutch energetically pump it out (the function of those windmills), cleverly managing fresh versus salt water, but whether fresh or salty, the land is soggy. 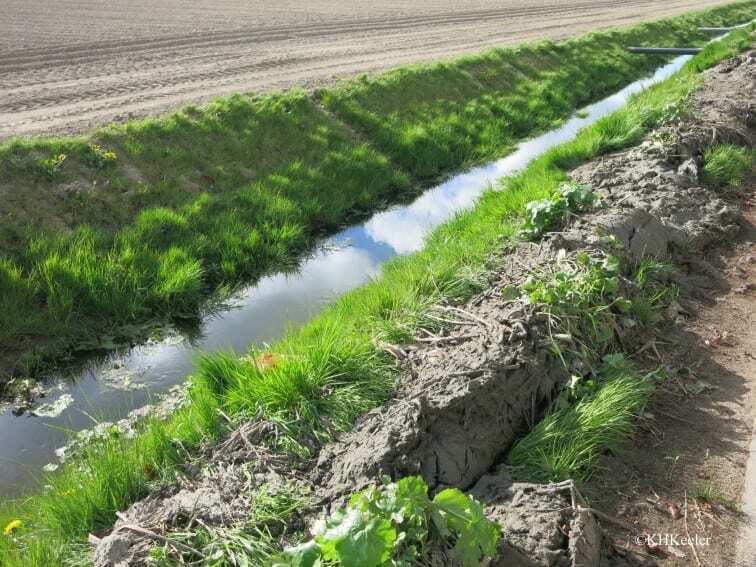 Canals and ditches run everywhere, draining water to dry the topsoil enough for good crops. All of that is obvious to anyone who has studied the Netherlands, and maybe I could have said it before seeing it–but actually seeing it transformed my understanding. And that made me see the wooden shoe in a new light. If you’ve ever walked in water, you know that the water comes in to soak your socks along the seams. A wooden shoe lacks seams. It is naturally waterproof in a way that sewn shoes never are. In addition, walk with the wooden shoe along the fields and ponds of Frisia or Holland…the soggy soil will compress (squish!) and the rigidity of the shoe won’t jar as it does on a rigid surface. In the low wet lands of the Netherlands, wooden shoes are practical and comfortable footwear. Travel continually revises what I thought I knew.